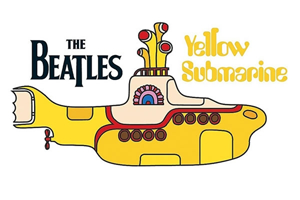 Playing Music Videos and having students read the lyrics during the first 5 minutes of class is a great way to buy time while waiting for late students. 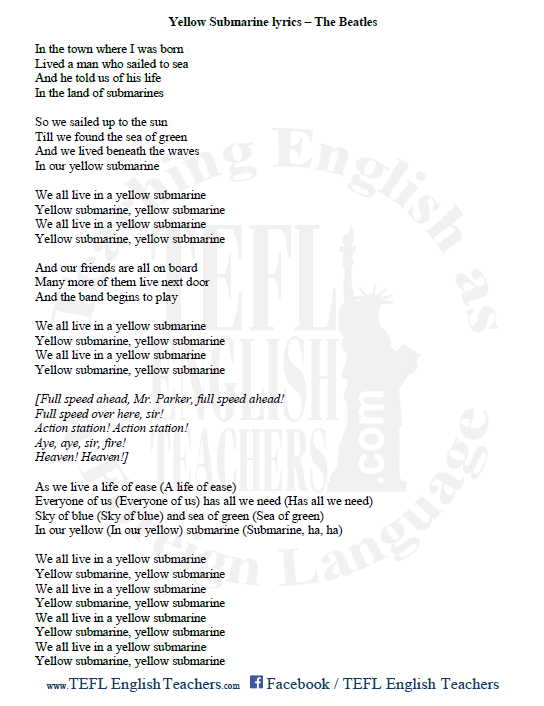 Download, print and laminate the Yellow Submarine lyrics by The Beatles on 8.5 by 11 inch paper. Download the YouTube video for classroom use.